If you want the best of the best when it comes to quality human hair, choose Remy. With its cuticles kept intact, Remy hair is the finest around, and I&K swear by it. 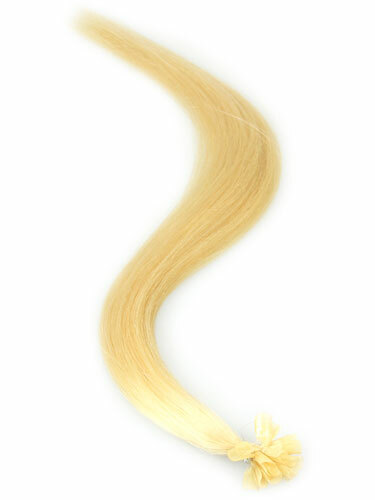 Each silky straight strand is enhanced by the use of Keratin for the bonds. Keratin is easy to apply and remove - meaning your natural hair will stay healthy and happy, even when your bonds are in place. When it comes to the hair itself, you’ll soon see that Remy doesn’t disappoint. It’s soft, shiny, and so easy to style. Cut it, curl it, straighten it, and see. It’s just like your hair, but on a really good day. Glossy and good to go, you’ll gain so much more than length and volume - you’re guaranteed a confidence boost too. Whether you opt for brilliant brunette, bombshell blonde, radiant red, or beautiful black, just pick your length and you’ll be ready to order and style away. With this A Grade hair, your girls will never know that you’ve added in a weave. nice hair at times bonds can soften bit waxy .on other orders bonds great.can shed quite a bit as my clients say, although great quality easy to roll great customer service. The hair feels really soft. Though I haven't applied it to my clients hair yet. Each strand isn't as thick as I thought it would be. It's about half the size of what I normally use from Great Lengths. Will update once application is done.